Properties in Zeeland average 4.5 out of 5 stars. 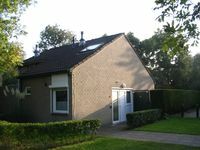 Property 1: Cozy apartment in a quiet location in the middle of Stad Veere on the Veerse sea. Property 7: Hello Spring!Unique and Large Retro / Industrial Apartment in Vlissingen. Property 10: Beach, super market and bike rental around the corner! - Wohnung am 1e Stock für 4 personen. Deichaus to 6 pers., Pets allowed, WiFi, near the Grevelinge and more. Property 34: Deichaus to 6 pers., Pets allowed, WiFi, near the Grevelinge and more. Property 42: Monumental building in the heart of Vlissingen near the sea, boulevard and restaurants. Appartement Bordeaux Oxhooft at the port of Veere on the first floor. 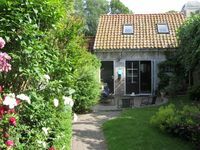 Property 45: Appartement Bordeaux Oxhooft at the port of Veere on the first floor. Property 46: Studio on top location with creek and beach. Tolles Haus und supernette Vermieter!